We do not have anything in place that will let you know when you are exceeding your space limit or approaching the bandwidth limit for your site. 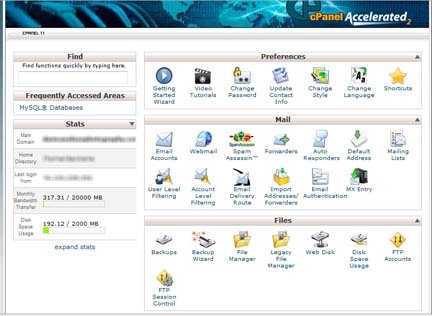 To monitor these areas, simply login to your cpanel (creditials provided with your welcome email) and check the left side bar. (Actual amount space and bandwidth will differ for each plan). If you are constantly running out of bandwidth towards the end of the month and have done all of the possible optimizations to fix or find that you are running out of space despite removing OLD templates or old proofing galleries, we recommend purchasing more hosting space and increasing your bandwidth limit, http://www.portfoliositez.com/clientarea/cart.php?gid=4 and click on extra hosting.